When we balance the challenging events from the PAST with events of close resonance in the PRESENT, we are able to RECONCILE the opposites and restore harmony… In this way we may be closer to bring PEACE and resolution to all these internal and external conflicting actions, emotions and thought forms that are coming now to the surface to be addressed . As anticipated on our last entry from KIN 104, 13Seed “Entering the Mirror Universe”, since then, “the planet seems to keep spiraling into ever more complex layers of polarization, chaos and dissonance…” The entrance into the 52-day Blue Western Castle of Burning, has been an intense passage for humanity. … and the dis-information wars are running full steam ahead parallel to the expansion of military operations by NATO. Earth is also NOW presenting once again unparalleled volcanic activity around the “Ring of Fire”. Volcanoes are a key part of Earth’s system and an “open window” into the inner workings of the planet. So, this rise in volcanic activity seems to be signaling yet a new chaotic node within the biosphere-noosphere transition crisis that José anticipated reaching a new threshold during the years around the 2012-2013 “Event Horizon”. Let’s re-member that the term “Ring of Fire” is also the name given to the “burning sensation some women experience when a baby’s head crowns”. Is this activity symbolizing the New Earth coming out the birth canal? Let’s also consider that we are now also transiting the “birth canal”, the central mystic column at the core of the 260-day Tzolkin Matrix after entering the Blue Western Castle of Burning” on day 22 of moon 11 on KIN 105 (Red Magnetic Serpent ) ~ Sign of the primal “Adam Kadmon”. How can we make sense of all this chaos? As main protagonist of this prophetic narrative of planetary resurrection, the Popocatepetl volcano ALSO exploded last KIN 119, June 6th (6.6) Gregorian during the completion of the 6th solar ring from Venus Transit of 2012. This prophetic sign was highlighted by LC 13.0.5.9.13 8B’en marker on the Traditional Maya count. “The rare Venus Transit of 2012 on June 5-6/2012 ~ KIN 8 8Star and KIN 9 9Moon marked not only the start of a new 5-Star Venus+Earth Pentagram, but also the start of a MAJOR synchronization between Venus (our closest neighbor and brightest planet in the night sky) with the heliacal rising of Sirius (the brightest star in the night sky) on July 25/26, 2014 KIN 8 + KIN 9. This synchronization process took EXACTLY 3 Tzolkins or 780 days. This spike in activity that is now taking place is in resonance with the spike described on our report published on Earth Day 2016 • KIN 124 7Seed… exactly 3 Tzolkins (780 days) from the publication of this entry. • Tomorrow 11.22 • KIN 105 will mark 7800 days / 30 Tzolkins from the entrance to the Time Tunnel of the “Retrieval of the Divine Plan” (20 Tablets of the Law of Time) on January 8, 1997 – Rythmic 27, KIN 105. • 7800 days is a TRIPLE holographic time container of the 2600-day fractal completion from José’s departure during last KIN 89 (3x2600=7800). • 7800 is a fractal of the Martian synodic cycle of 780 days. Mars represents the next “New Frontier” for humanity in SPACE and its cycle in TIME holds the memories of planetary nuclear disaster. 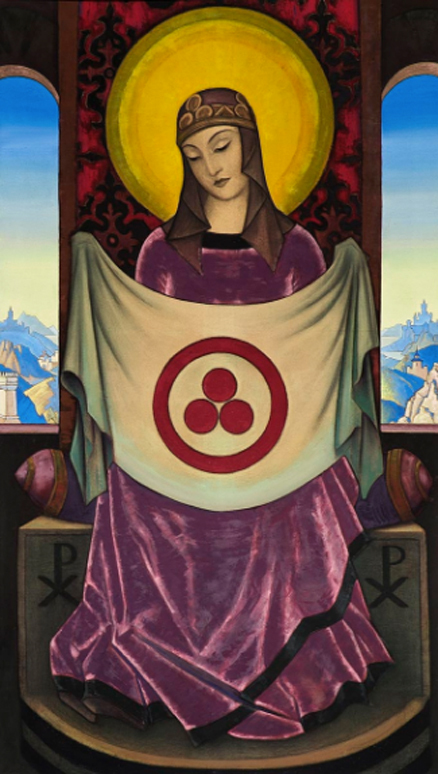 The purpose of this writing is then to present compelling evidence that can elucidate coherent and cohesive mathematical and mytho-cosmological structures/constructs that can serve as sign-posts to navigate the road ahead and gain insight on the events that are now transpiring, and that may assist us in shifting our focus of attention from the 3rd dimensional world of chaos to the 4th dimensional harmonic order of reality. NOTE: 89 is followed by 144 on the Fibonacci sequence. On pART I of these series we were ALSO able to establish the harmony behind the current external state of chaos we are witnessing on Earth by pinpointing the prophetic relevance of the Spectral Moon of Liberation coded with KIN 11 [11.11], as a MAJOR 28–day synchronization portal. We also established that the years 2012-2013 are almost identical twin time fractals of the years 2017-2018 with only a 5-day interval difference. 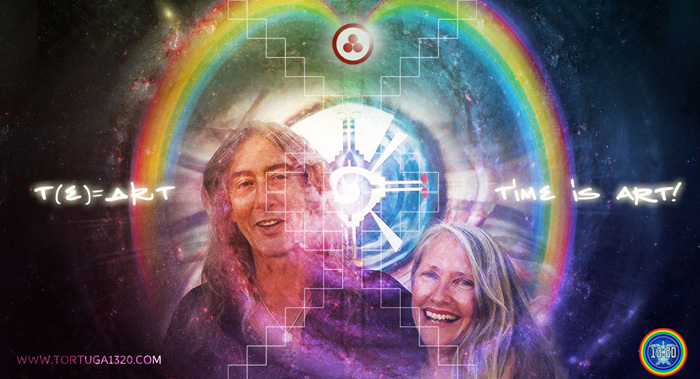 This 5-DAY interval is bringing also a unique amplifying quality that is highlighting the compounding resonance power of completing 5 years : 7 Tzolkins from crossing the 2012-2013 “Event Horizon“. On the surface, it appears as if for the past 5 years life on Earth is spiraling into ever more complex layers of polarization, chaos and dissonance, yet in reality (either we are noticing it or not) we are entering into increasingly higher resonance and harmony with the Galactic Synchronization beam that arrived during the 2012-2013 window. This 5:7 sacred ratio is a function of the Telektonon and was described in detail on the special report “The Telektonon Factor: 65 Years of a living prophecy” published EXACTLY 1 year ago + 5 days (June 15, 2017) to commemorate 65 years from the discovery of Pacal Votan’s crypt below the Temple of Inscriptions in the archeological site of Palenque (Lakamha). We also presented solid evidence describing how events on Earth are connecting in very precise ways to the 9-11/”Inevitable Event” redemptive narrative that José Arguelles introduced on his book “Time and the Technosphere” in 2002, and that 5 years later, in 2007, he revisited and re-examined through the lens of the synchronic order (see RINRI Project newsletter referenced at the end of pART I and pART II of these series). On it, Arguelles presented a detailed decoding of the Irak invasion of 2007 (11 years ago) as a “follow-up” of the 9-11 event. Given the resonance of Arguelles’ words over time, and the sensitivity of this current window, the purpose of these series is reconstructing important aspects this redemptive narrative. As mentioned in pART I, this process is allowing us to find KEY elements of continuity and coherence that can provide a solid historic background and context to the CRITICAL events that we are now witnessing on the geo-political sphere. 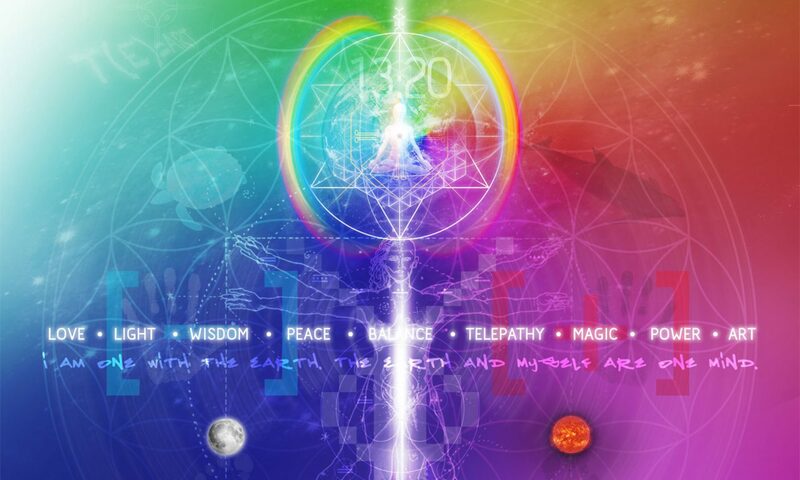 We are gaining a wider perspective of the psycho-mythic drama playing out on Earth at this time and a FULL picture of REDEMPTIVE HARMONY is now becoming crystal clear during this crystal (12) moon of this crystal (12) year. The PERFECT alignment of the 7th Central Column of the 260-day Tzolkin with the 7th Central Moon of the 364+1-day sequence of the 13-Moon year. “Wavespell Nine is the entrance to this castle. Kin 105, Red Magnetic Serpent, codes the first thirteen- day cycle as the Wavespell of Galactic-Karmic Maldek. The shattered lost planet Maldek (and its spin- off, Mars) is of course the key to all of the unconscious and unresolved negativity that plagues our planet at the Closing of the Cycle. Therefore, at this time what signs might we find that reveal the power and hidden meaning of Maldek – and Mars – working themselves out? The second day of the Wavespell, Kali 8 of the Rhythmic Moon, was kin 106, White Lunar Worldbridger, the key Martian sign that codes the tomb of Pacal Votan, and the first of the ten-day Alpha GAP run that constitutes the greater part of the Serpent Wavespell. Kin 106 White Lunar World Bridger. At predawn, 0600 local time, Baghdad, NS 1. 19.6.18 (December 30, 2006), prisoner of war, Kin 155 Blue Crystal Eagle, Saddam Hussein was executed by hanging. Though the manner and form of the execution were brutal and the purpose and legality of it questionable, the event was synchronically perfect. Kin 155, Blue Crystal Eagle, was executed on the day of his perfect occult partner, Kin 106. This means that a higher order of reality was at work. Just as Kin 106, the second day of the Blue Western Castle of Burning is the first day of the ten-day Alpha GAP run, so Kin 155, is the second to the last day of the Blue Western Castle of Burning and the last day of the ten-day Omega GAP run. What did this symmetry augur in terms of the lost planet haunting on planet Earth? Keep in mind that this dramatic event was carried out on behalf of Bush senior and Bush junior, the two Presidents who waged war on Iraq and who held a grudge against Saddam Hussein. And bear in mind that the galactic signature’s of both of the Bush’s are also in the Blue Western Castle of Burning – George junior is Kin 129, Red Crystal Moon, rst day of the 33rd harmonic, while Bush senior is Kin 35, Blue Overtone Eagle. Both of course are in the mystic column. While Bush senior’s occult partner is kin 126, Osama Bin Laden, Bush junior’s occult partner is Kin 132, Colin Powell, Pentagon chief of staff during the Desert Storm, and Secretary of State during the second invasion of Iraq. However, by 2004, Powell dissented from Bush junior and chose not to be Secretary of State again, replaced, instead, by Condoleezza Rice, Kin 60, Yellow Galactic Sun. However, Colin Powell is not out of the picture in this lost planet end time psychodrama. As Bush junior’s occult partner, he is playing a hidden role that will come to light before too long. The Bush dynasty might have gotten their revenge, but at what cost? The execution of Saddam Hussein, strange follow-up to the 9/11 conspiracy, will further destabilize the Middle East, to the disgrace of America, and, quite possibly, end up in a nuclear confrontation between Israel and Iran. Pivotal in this play is Iran’s President, Ahmadinejad, who is also Martian, Kin 253, Red Rhythmic Skywalker. As we know, the Dreamspell, inclusive of the 13 moon/28-day synchronometer, is a new dispensation of fourth-dimensional time. 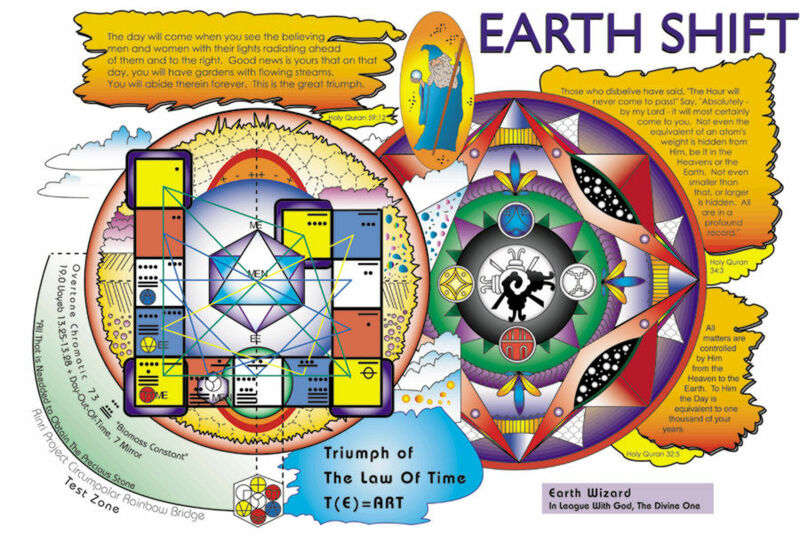 Being fourth-dimensional, the Dreamspell codes are laid over third- dimensional time, revealing the synchronic patterns of the mind-set that governs the materialist cycle of history. The origin of these codes of the synchronic order are in the cosmic currents beamed by Sirius Beta to the orbit of our planet. Foremost are the codes of the ratios 52 and 7. Our understanding of these codes depends very much upon precision timing. Ten years ago – two holtuns – the entry to the Blue Western Castle of Burning occurred on Rhythmic 27, initiating the decoding of the Twenty Tablets of the Law of Time, and the precise sixteen-year cycle of the Cube of the Law, 1997-2013. Similarly, entry to the Blue Western Castle, ten years later, has revealed another precision timed event – disclosure of the harmonic pattern of the lost chord and the lost interval of time in eternity. In fact, in this revelation lies the very meaning of the self- occulting codes, wavespells, and harmonics of the Blue Western Castle of Burning. This information is revealed right now because of the synchronic timing of the entry into the Blue Western Castle of Burning, Wavespell Nine, Serpent Life force of Maldek. The very last day of the Serpent Wavespell will be Kin 117 – 9 × 13. Of the 3 harmonics of this castle, the seventh of which is the mystic 33rd void harmonic, the first is Harmonic 27 (3 × 9) and the last is 39 (3 × 13). Note that there are 27 Books in the New Testament and 39 in the Old Testament. As for Red Cosmic Earth, Kin 117, last day of the Galactic- karmic Maldek Wavespell, it will be the first day of the 7th or Resonant Moon, in the year 2007. The last day of the Seventh Moon will be Kin 144, perfect occult of Kin 117. Like the Blue Castle itself, the seventh Moon this year will be perfectly self-occulted. July 26, 2006 (NS1.19.1.1) marked the entrance into a 13-YEAR prophetic sequence that spans from the year coded by KIN 209 1Moon (2006-2007) to the year coded by KIN 169 13Moon (2018-2019). This 13-Year cycle will come to its last stage (OMEGA point) as we cross the Day Out of Time/New Sirian Year Gateway this coming July 25-26/2018 KIN 168 12Star – KIN 169 13 Moon. This practice can be repeated every Resonant Moon days 7-22 henceforth. It can also be studied and rehearsed every galactic spin during the sequence of the mystic column. There are two kin in the mystic column before the Lost Chord Cube Journey and two kin in the mystic column after the Lost Chord Cube Journey. 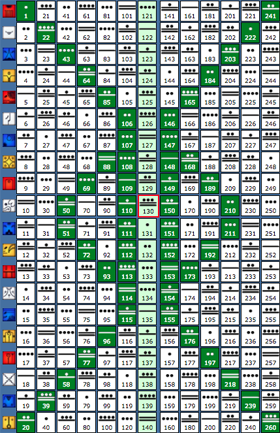 The two kin before are day 5, Kin 121 (11×11), Red Self-existing Dragon, and Day 6, Kin 122 White Overtone Wind. 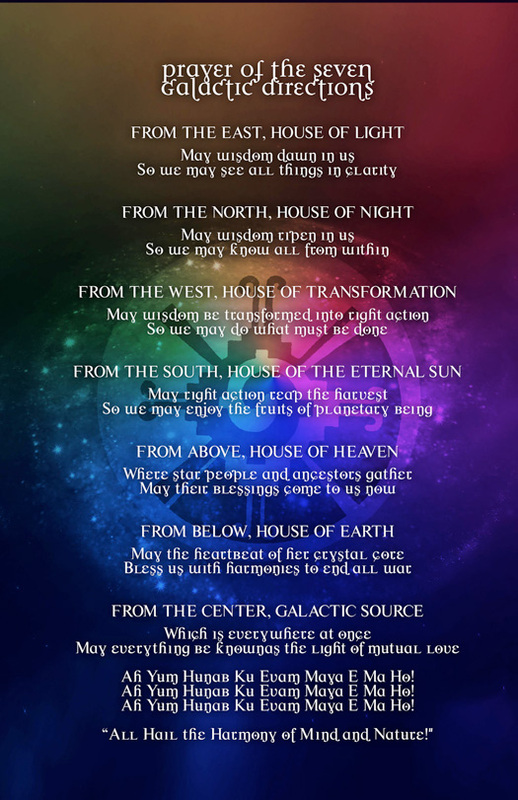 We really encourage all dedicated planetary KIN to re-start this practice during this decisive passage through the Mystic Column in preparation for our entrance into the final year closing this 13-Year cycle of compounding resonance from Magnetic Moon to Cosmic Moon! 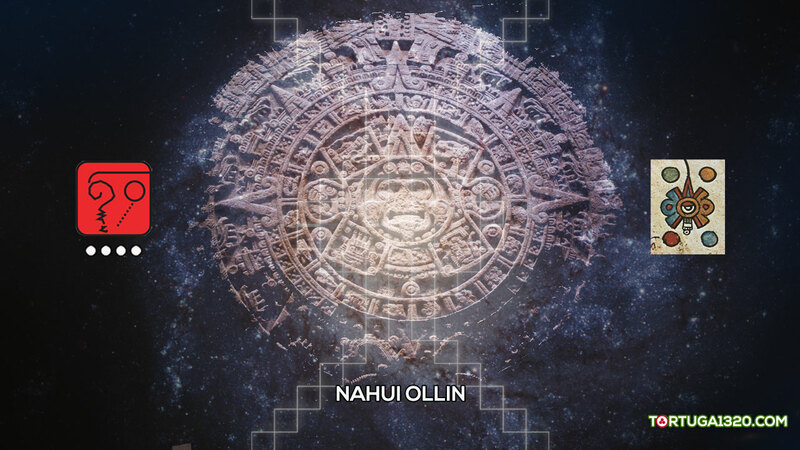 You can download here the RINRI Project newsletter “Harmonics of the Sirius Code Revealed”. The 13th moon of this year will place us in direct resonance with the New Sirian Year Portal of July 26/ 2018 KIN 169: 13 Moon. How is this? >> KIN 169 (13×13) is guided by KIN 13. >> 9+13 = 22 = 9Wind = Bolon Ik = the “Voice of Prophecy”. KIN 22 is also associated throughout Mesoamerica with “Quetzalcoatl” as 9Ehcatl. >> KIN 169 will ALSO mark the entrance into the LAST UNIT (OMEGA POINT) of the 28-YEAR TELEKTONON of PACAL VOTAN that started in the year 1991 . 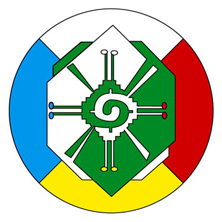 We will expand on this on pART V… The 28th UNIT corresponds to the Tower of Bolon Ik as it is coded by the WIND position on the Galactic- Karmic flow. >> Following the 1KIN=1MOON fractal count, this entire 13-Moon year corresponds to the planetary service wavespell of the Dragon. >> On DAY 1 of MOON 1 coded by KIN 1 [1.1] KIN 64 [4.12] we entered the ALPHA Gateway of a fractal Tzolkin Matrix composed by 260 Moons. >> Last KIN 8 [8.8], just one day after DAY 8 of MOON 8 coded ALSO by KIN 8 [8.8] we entered another MAJOR NESTED SYNCHRONIZATION Portal powered by a partial solar eclipse and the completion of 8 Tzolkins from the Venus Transit of 2012. 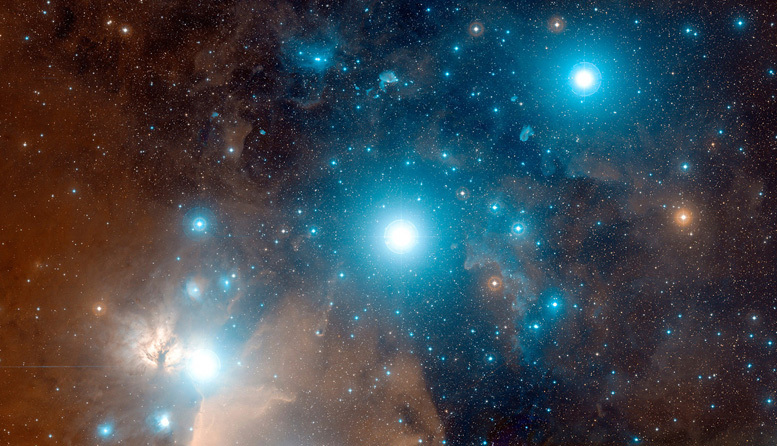 Please read Venus, The Feminine and the 8.8.8.8 StarGate report from last KIN 8 for details. >> Please not that as year-bearer, this entire year is coded by 12 Seed noted as 4.12. 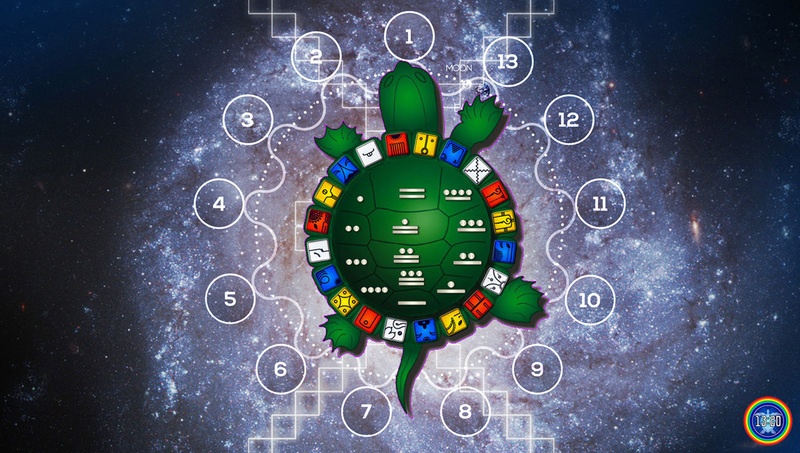 >> Since both this Moon and this Year are coded with the CRYSTAL tone [corresponding to number 12] we can consider this entire moon a “Magic Turtle MOON” of Cooperation! 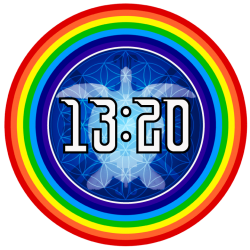 >> The first “Magic Turtle Day” of this moon took place 5 days ago during Crystal “Round Table of the Warrior”, closing the ALPHA GAP RUN. “The golden ratio is also called the golden mean or golden section (Latin: sectio aurea). Other names include extreme and mean ratio,medial section, divine proportion, divine section (Latin: sectio divina), golden proportion, golden cut, and golden number. “Le Corbusier developed the Modulor in the long tradition of Vitruvius, Leonardo da Vinci’s Vitruvian Man, the work of Leon Battista Alberti, and other attempts to discover mathematical proportions in the human body and then to use that knowledge to improve both the appearance and function of architecture. The system is based on human measurements, the double unit, the Fibonacci numbers, and the golden ratio. Le Corbusier described it as a “range of harmonious measurements to suit the human scale, universally applicable to architecture and to mechanical things”. “In my books on the tzolkin I have put forward the notion that the principle at the core of the 260-day cycle is none other than the Golden Proportion. I argue this by looking at the mathematics and the philosophy of the Golden Proportion, and compare it to what we know, and the Maya themselves offer, about the tzolkin. The Golden Proportion is a unique principle in nature. It determines the spirals in pine-cones, seashells, the geometry of the human body and appears in many other organic processes. In the words of Jose Arguelles, it is the principle of “self-same similarity.” So, it’s not strictly about spirals. The Golden Proportion is best understood in terms of “repeating patterns at successive scales,” nested chinese dolls, and musical harmonies. In human terms, reproduction itself is a process ruled by the Golden Proportion. Like the cumulative spirals on a sea shell, each successive human generation is based about what came before, yet is one step further on in the process. What I’m getting at here is simple: The Golden Proportion is a much under-rated principle in nature, and it is responsible for most of the tzolkin’s properties. Introductory page of “Tzolkin: Visionary Perspectives and Calendar Studies”, by John Major Jenkins, showing the Golden Proportion operating through the Tzolkin, represented as an additional central channel/void row traversing the core of the 13:20 Tzolkin Matrix, and creating a perfect Golden Mean Rectangle of 13×21. Note that KIN 186 marks the ORIGIN of the spiral, and that 186 is a numerical analog of 0.618. The number 144 (12X12) corresponds to the 12th position on the Fibonacci sequence ★ 144 is therefore the only number on the Logarithmic Spiral that is a SQUARE and a CIRCLE (spiral) at the same TIME. 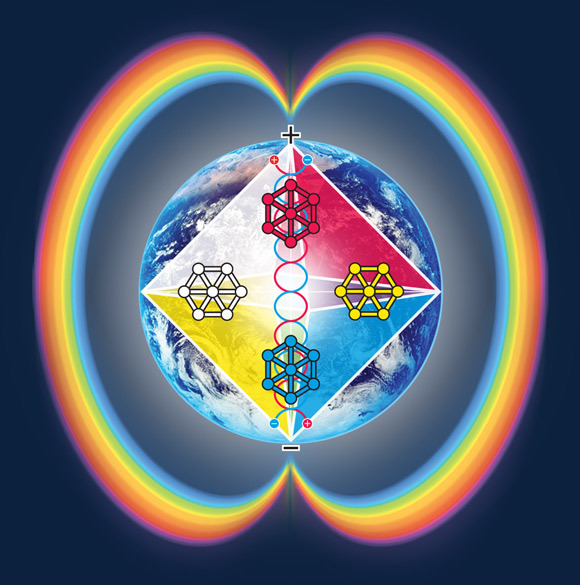 A DIVINE INTERSECTION of Golden Proportions where Masculine (SQUARE) and Feminine (CIRCLE) archetypal energies meet. 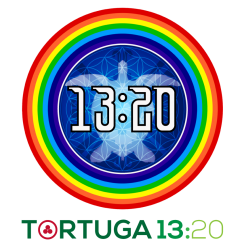 KIN 12 12Human is coded by a master triplet of 12: KIN 12- Seal 12 – Tone 12, and acts as a numerical holographic container for “The New Jerusalem” as the “temple of the human soul and mind”. It was at the end of the 12th Baktun and the start of the 13th Baktun[LC 12.0.0.0.0] in the year A.D. 1618 when the Gregorian calendar took root as the institutionalization of false time and spread through the entire world. On pART V we will expand on significance and the CRITICAL role of this precise point in time. As explained on pART II, since the years 2012-2013 are almost identical mirror of the years 2017-2018 with only 5 KIN of difference, we are now traversing a very important fractal cycle of 216 days comprised from the “Closing of the Cycle” PORTAL of December 21st, 2012 to “Galactic Synchronization” PORTAL on July 26, 2013 KIN 164 8Seed. Considering that 216 days correspond to a perfect cube in time (216=6x6x6) , this transition period was also defined by Jose as the “Cubing of the Earth“. The opening of the US embassy in Jerusalem on May 14th, NS1.30.11.13 KIN 96 took place EXACTLY 144 days from this meeting, therefore on DAY 144 of this 216-day fractal sequence!!! We may wonder NOW: Who is writing this script with such precision timing? The PERFECT CUBE shape and the 12.12 + 1 day opening date connect with amazing exactitude to the New Jerusalem redemptive narrative presented here, and also with the narrative that poet William Blake described in his writings. 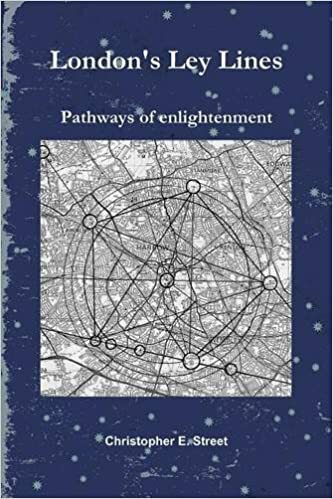 This theory is actually the central theme of the latest book by Chris Street, author of groundbreaking research about the Sacred Geometry behind the City of London. As we finish this post is already day 12 of Moon 12 and June 10 [06.10.2(0)18] corresponding to day 161 of the Gregorian year, both markers in numerical resonance with the 1.618 Golden Mean Number. In the Telektonon journey board the first 13 days of each moon corresponds to the re-capitulated cosmology of each of the 13 baktuns of recorded history (1 day = 1 baktun). On this fractal count of time TODAY marks to the redemption of Baktun 12. José left us the maps and tools to re-construct the lost harmony over TIME, so, on pART V we will continue to weave the PAST, the PRESENT and the FUTURE and examine the multiple layers of resonance between larger cycles of time that will reveal a masterful tapestry woven through the fabric of TIME. Thank U for playing your pART so well Flaviah! This is Kin 247 from HK, haha the most 12:60 city. Just saw ur posts and amazing sync with Why happen with us in HK, would like to share with u! Thank U KIN 247! Read the translation of you facebook post and my heart jumped with joy! 🙂 Thank U for sharing and for synthesizing so well the OVERALL message: Cooperation, Cooperation, Cooperation, Cooperation! May Peace prevail on Earth! Aho!